From sourdough to spelt, homemade bread is really having a moment. 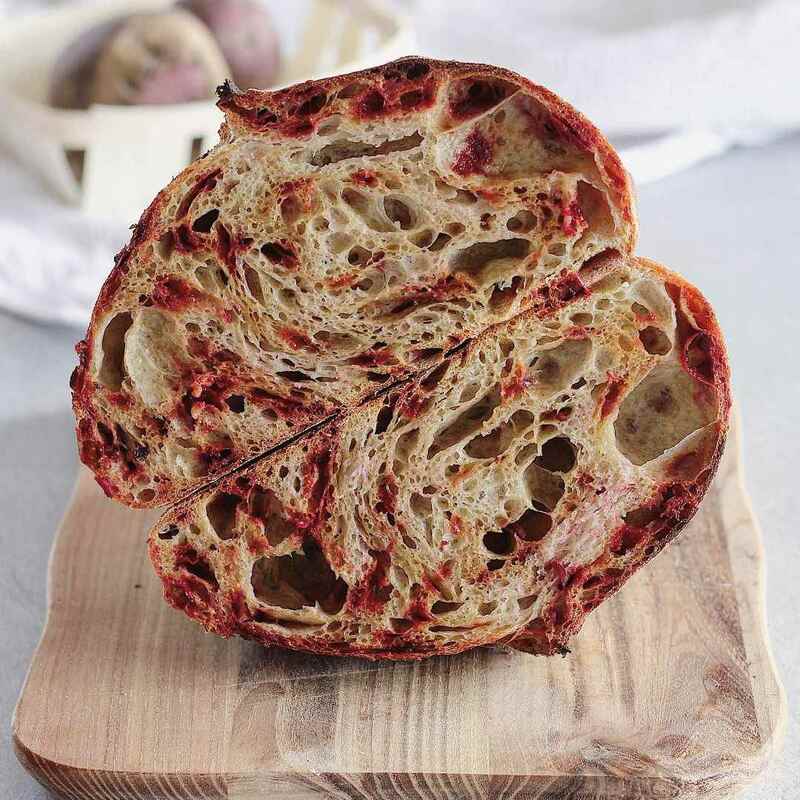 Home bakers are filling their ovens and their social media with beautiful rustic loaves. If you're in knead of some inspiration, check out these bread bakers on Instagram. With photos of the whole baking process, including sourdough starters, shaping and scoring, and countless beautiful loaves, they'll have you baking and sharing pics of your perfect hole structure in no time. When you're ready to start baking, you might want to start with a sourdough starter and then learn how to shape a loaf. Then find a bread recipe (or two or three) to try. This 20-year-old Norwegian home baker tends to make classic round, rustic loaves with a beautiful hole structure. Some of her bread is streaked or mixed with creative ingredients like grated beets or carrot pureé, making them unexpectedly colorful. Maurizio Leo of The Perfect Loaf (a Saveur blog award-winner) is a home sourdough baker with professional results. He makes a wide range of breads, including baguettes, pan de mei, and even sourdough pretzels, all with natural leavening. Noah Bedard is a professional baker, so his bread is obviously top-notch. From loaves to baguettes to pizza to the occasional pastry, it'll all have you inspired to bake...or run to the nearest bakery. Kristen of @fullproofbaking is a passionate baker, even naming her sourdough starter Ozzy. In addition to mouth-watering photos of her fresh breads, she posts tips and tutorials in her stories and on her YouTube page. Home baker Natalija can get a little scientific with her baking, and happily shares her baking journey complete with percentages and measurements. But she's also a whiz at scoring her loaves, making lovely patterns that are simply nice to look at. If you're into cross-sections of bread showing their crumb and hole structure, then Leannah of @bellaartisanbaking has you covered. Her breads have the Swiss cheese look of healthy sourdough—you can imagine their perfect chewiness. Piotr Lesnianski is a chef and a wild yeast fanatic. His breads are made using wild yeast and he even teaches classes on the topic. He's constantly tweaking recipes and trying new methods—certainly inspiring for other bread bakers. Artisan baker David Kaminer bakes his sourdough bread in a hearth oven with stunning results. The wide variety of loaves are made from freshly milled flour (milled in house) and available via pre-order at his home in Denver and select locations. @natashas_baking's feed is filled with lots of creative loaves, all made with her sourdough starter. She includes handy recipes and lots of shaping, cutting, scoring, and other tips in her stories. Chapin Smith of Wild Belly Sourdough calls herself a "bread farmer." She gathers her wild yeast from local trails, growing her starter and combining it with locally-milled grain to make picture-perfect breads. She even uses a wood-burning oven. Beesham Soogrim is a Sweden-based chef, teacher, and proponent of natural fermentation and heritage grains. As his Instagram feed shows, he gets creative with his bread creations, creating loaves of all shapes, colors, and sizes. @sourdough_nouveau has a passionate following for a reason—her bread creations are otherworldly and meticulously crafted, her photos are dreamy, and her captions are poetic. If you want to enjoy the arty side of bread, give her a follow. Rustic, hand-crafted loaves of sourdough bread populate this home baker's Instagram. Perfectly browned with just the right amount of decorative scoring, her bread will leave you hungry for more. 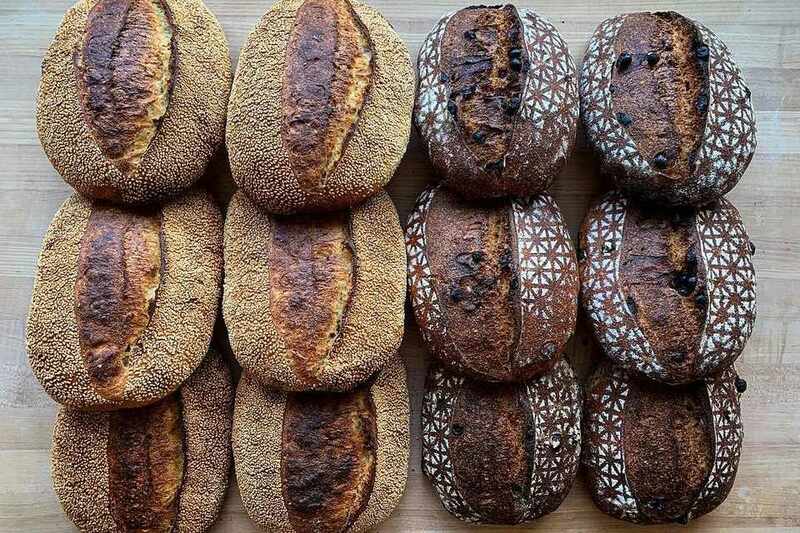 @danthebaker is a professional baker based in Ohio who makes expertly crafted breads and occasional pastries from heritage and heirloom grains. He posts a nice variety of bread process photos, including milling whole grains in-house for flour. Hannah of @blondieandrye is a master at scoring and shaping bread. Her intricate doughy creations really break the mold, coming in every shape and style imaginable. If you're tired of looking at plain round loaves, then this is the bread account for you. Jorgen Carlsen is the head baker at Jane The Bakery in San Francisco, and his bread and pastry photos are swoon worthy. With some bold grain choices (like the 100% rye pictured) and classic techniques, he's clearly a pro. Watch his loaf slicing videos with the sound on to hear his crisp crusts.